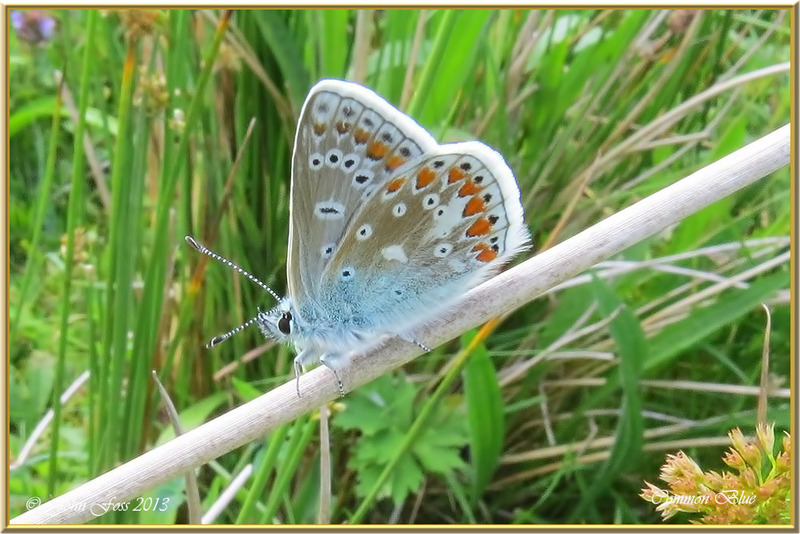 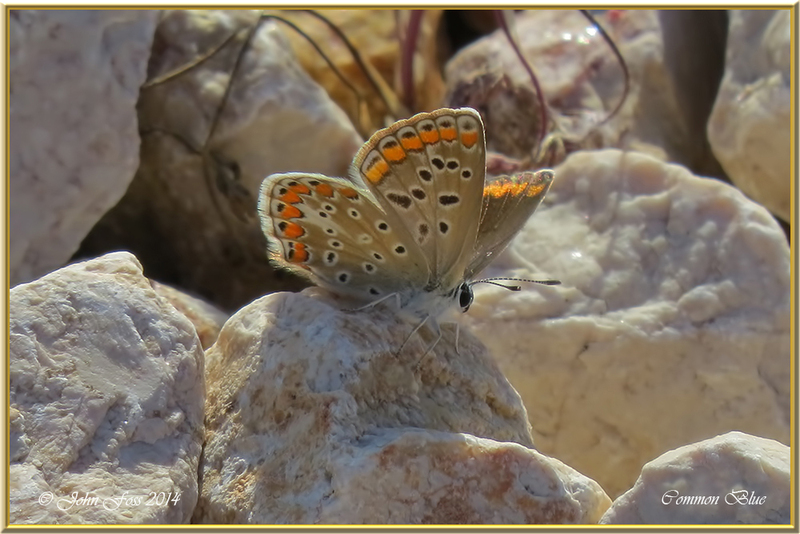 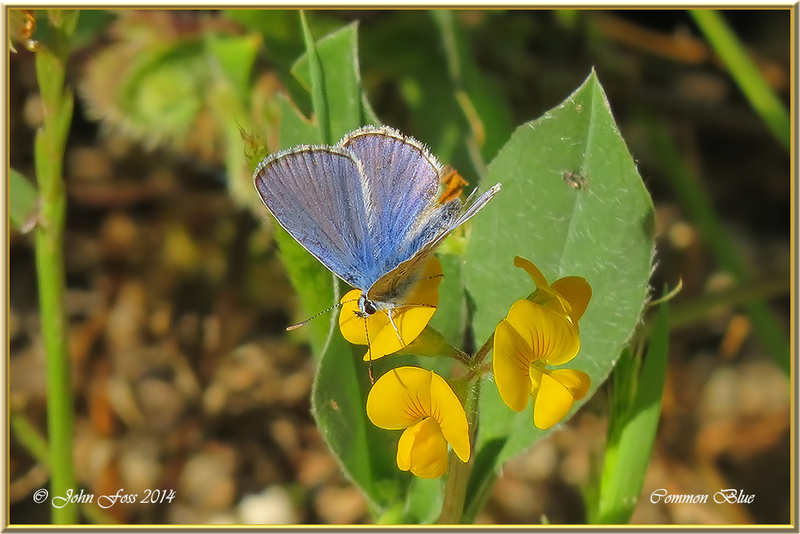 Common Blue - Although common in England Scotland and Wales this butterfly is only present in certain parts of Ireland. 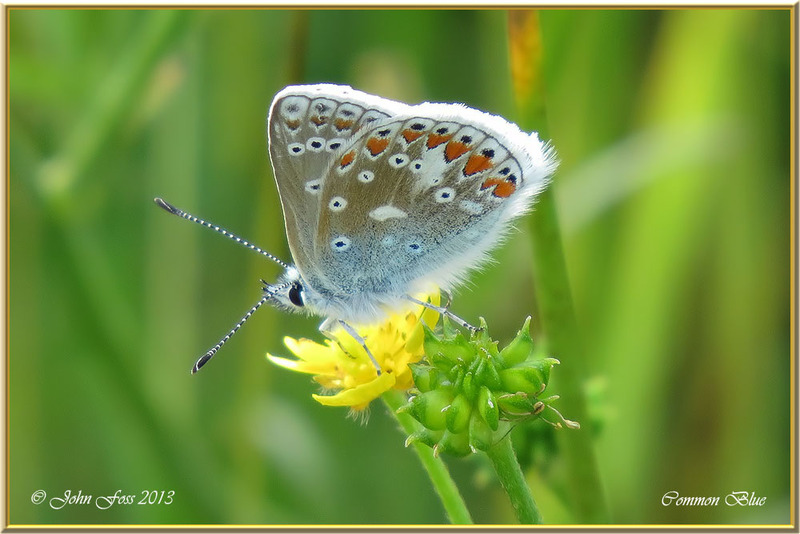 They emerge in June and fly through to September although mostly seen in the earlier months of July when they are at their peak. 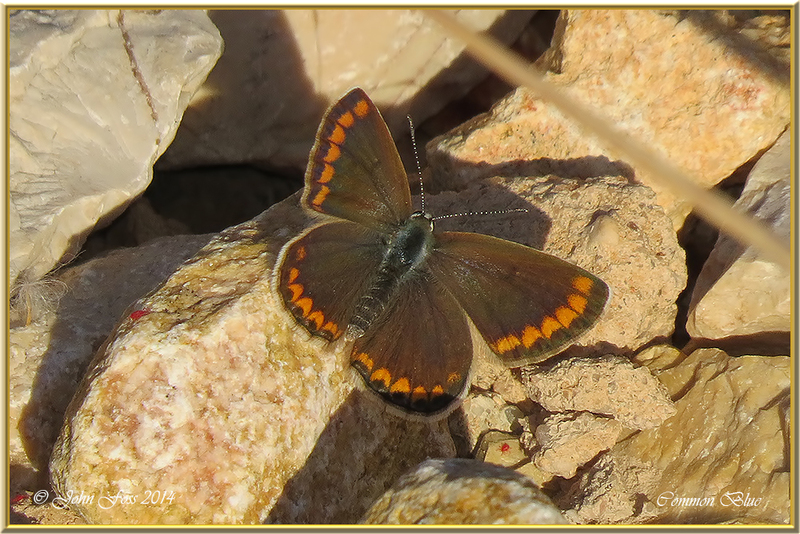 It prefers meadows and grasslands and has about a 25cm wingspan. 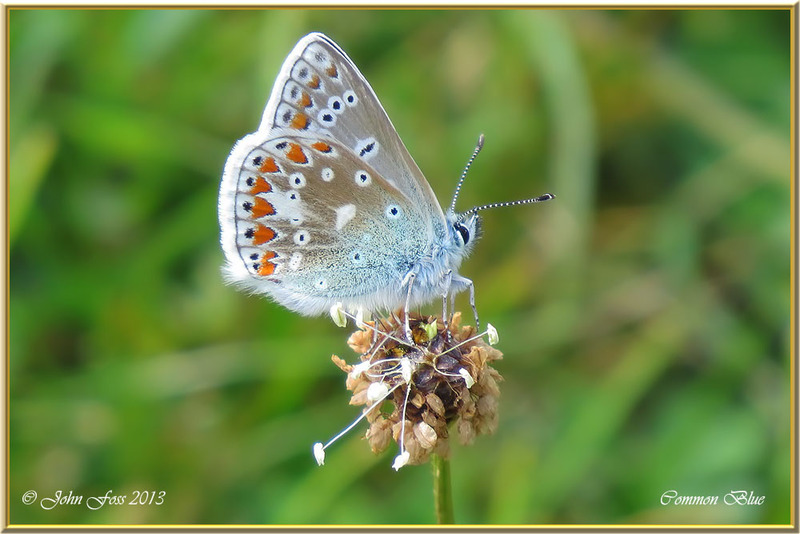 These males were photographed at Marlbank Co. Fermanagh. 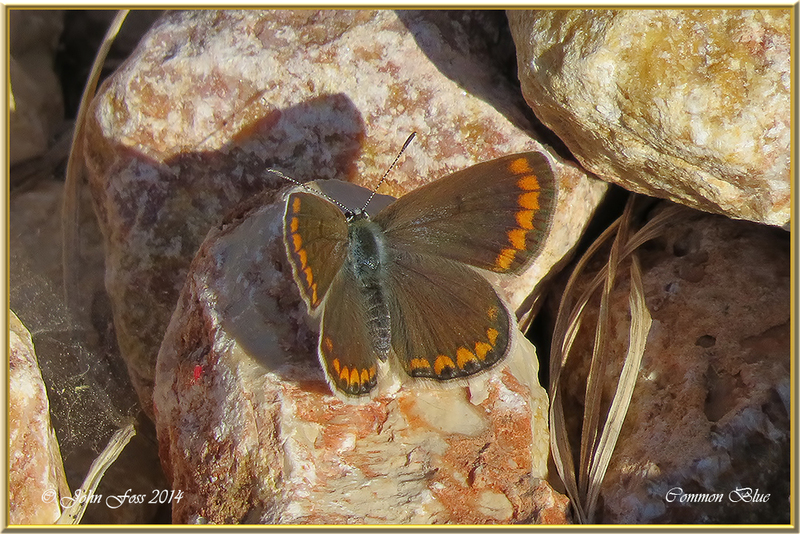 The brown females were photographed at Praia de Rocha in Portugal.